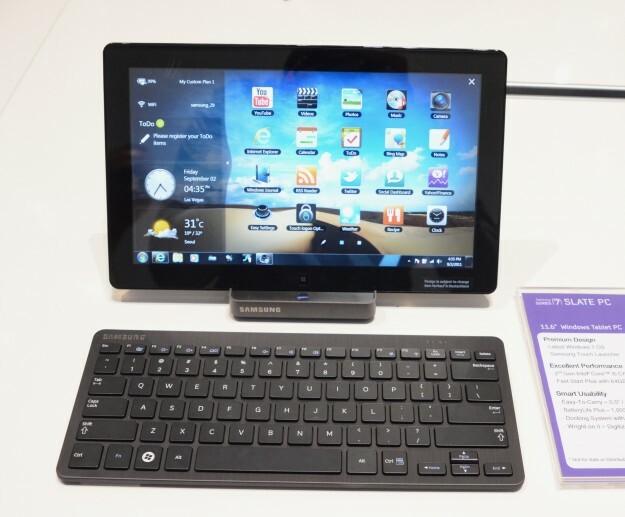 Below check out the video of the Samsung Series 7 slate with Windows 7. It is similar to what Build attendees were receiving with Windows 8 on it. With this slate you get an 11.6 inch multitouch screen with an amazing 1366 X 768 resolution. All being run by a Core i5 2467M processor running at 1.6GHz. Below you can see that it has 8 points of touch. Not to mention that you get an external dock equipped with a USB port and an HDMI port. As well as a Bluetooth keyboard and active digitizer stylus. You can see that the Samsung Series 7 tablet has a lot to offer, great hardware and is thin and light. Now we just have to wait to get one with Windows 8 on it.